A joint House panel on Sunday summoned the top officials of the Manila Water Co. Inc., Maynilad Water Services Inc., water regulators and five mayors to today’s congressional inquiry into the water shortage in Metro Manila and Rizal. Quezon City Rep. Winston Castelo, committee on Metro Manila chairman, along with Negros Occidental Rep. Alfredo Abelardo Benitez, committee on housing and urban development chairman, will conduct a congressional hearing. 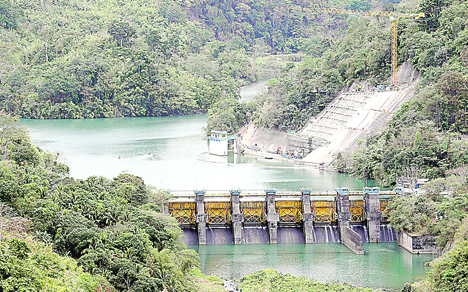 “We will need explanations from the concessionaires, regulators and the experts why we got into this mess and their suggestion on how we can get out of it,” Castelo said. Customers of Ayala-led Manila Water have suffered service interruptions and low water pressure for the last two weeks, but those in Maynilad’s service area have experienced no such problems. 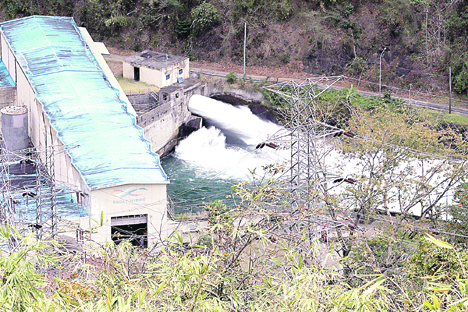 “We have to look into the water shortage with dispatch and assure the people that the government is addressing the problem with assurances that it would not happen again,” Benitez said. Bayan Muna Rep. Carlos Zarate filed House Resolution No. 2518 to investigate the water service interruption. “Rainwater is a free, abundant, and regular natural resource that the Philippines is fortunate to receive year in and out. It is high time that we make use of it for the general advantage of our people,” Camarines Sur Rep. Luis Ray Villafuerte said. Invited to the joint House panel probe are Mayors Herbert Bautista of Quezon City, Roberto Eusebio of Pasig City, John Reynald Tiangco of Navotas City., Jaime Fresnedi of Muntinlupa City and Oscar Malapitan of Caloocan City; Manila Water chief executive officer Ferdinand dela Cruz; Maynilad Water Services president and CEO Ramoncito Fernandez; Local Water Utilities Administration (LWUA) administrator Jeci Lapus; LWUA chairman Rogelio Uy; Metropolitan Waterworks and Sewerage System (MWSS) administrator Reynaldo Velasco; MWSS Regulatory Office chief regulator Patrick Ty; National Water Resources Board executive director Servillo David; Philippine Atmospheric, Geophysical and Astronomical Services Administration administrator Vicente Malano; Private Hospitals Association of the Philippines president Rustico Jimenez; Bureau of Fire Protection chief Leonard Bañago; Philippine Hospital Association president Huberto Lapuz, and several others. Puwersa ng Bayaning Atleta Rep. Jericho Nograles said El Niño should not be blamed for Metro Manila’s water shortage, saying the culprit is Manila Water’s mismanagement and lack of foresight. Manila Water. This is simply mismanagement. Manila Water should be truthful to the public instead of blaming Mother Nature for their negligence,” he said. On Sunday, Senator Richard J. Gordon said local government units should issue ordinances directing their constituents to observe water conservation. Gordon also called on the public to do their part in preventing the water crisis from worsening. To do this, he said people should be conscious of their water usage. “We should conserve water. We can take simple actions at home so we don’t contribute in worsening the problem,” he said. The MWSS, meanwhile, lauded San Miguel Corporation (SMC) for its offer to use its untapped water allocation from Angat Dam to provide water to over 6 million people in the east zone of Metro Manila currently experiencing a supply shortage.